The founding partners draw on many years of experience in corporate management, corporate finance and turnaround private equity in medium-sized businesses. The 10 strong team around the partners has extensive experience and expertise in the fields of due diligence, M&A and the operational management in industrial and service companies. Managing Partner is managing partner of RADIAL CAPITAL PARTNERS. He has extensive management experience as well as investment and restructuring expertise spanning more than 50 corporate transactions and restructuring cases. After training as a lawyer, Ulrich Radlmayr practised with P + P Pöllath + Partners and as a founding partner of AFR Rechtsanwälte, initially advising buy-out funds, corporations and medium-sized companies on corporate transactions. At the beginning of 2008, he joined the Management Board of stock-listed AURELIUS AG (industrial holding group), which he had previously advised, and was a board member till 2012. During his term on the board, AURELIUS AG group revenues increased from EUR 0.576 billion to EUR 1.354 billion, through acquisitions and operational growth. The balance sheet total doubled to EUR 1.127 billion. He was a long-standing member of the supervisory board of stock-listed SMT Scharf AG and the Berentzen Gruppe AG and is currently a member of the Administrative Board of Verve Capital Partners AG (investiere.ch). Ulrich Radlmayr speaks German, English, French and Portuguese. Managing Partner is managing partner of RADIAL CAPITAL PARTNERS. He has extensive investment, management and restructuring expertise from more than 30 corporate transactions and restructuring cases. 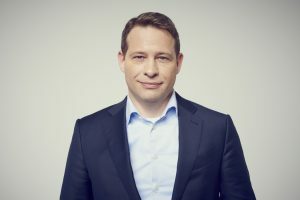 After graduating as an economist at the Ludwig Maximilian University of Munich, Andreas Mayr performed a variety of functions in the field of investment in Germany and abroad. At the beginning of 2008, he took over responsibility for the corporate finance department of the AURELIUS Group, which he built up and managed until the end of 2014. 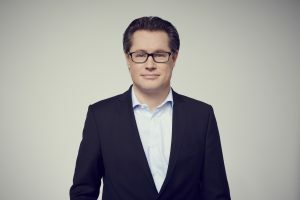 In addition, he was a member of the Management Board of AURELIUS Beteiligungsberatungs AG, which is the central service provider in the AURELIUS Group, and was responsible for further development of the portfolio of companies for the Group. Andreas Mayr speaks German, English and French.